Check out Pinkyparadise for amazing circle lenses! Use the code "vanniechuong" to for a cute mystery gift with your circle lens purchase! 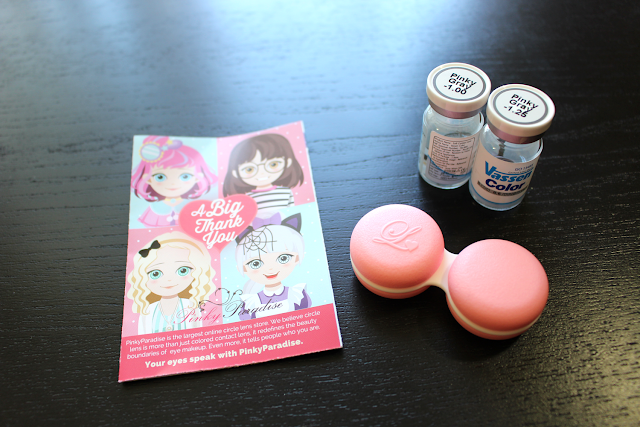 Packaging comes with a cute manual of how to properly wear and take care of circle lens. I love the macaroon lens case! Make sure to soak your lens in solution for at least 8 hours before wearing them! I had no issues with these circle lens when I inserted them in my eyes. I wore them for the full 8 without any irritation. You can't even feel that they are in your eyes!! 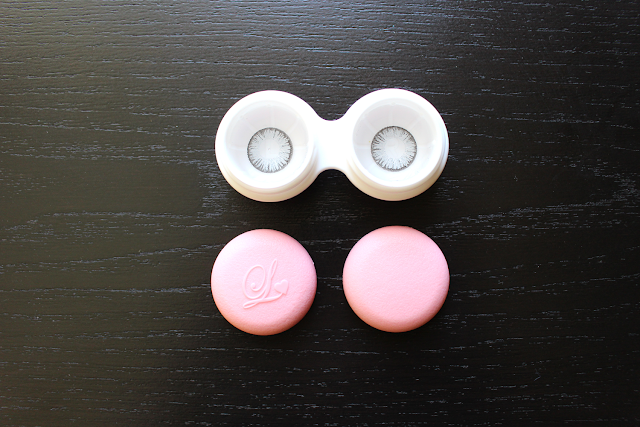 These circle lens are 15 mm so they provide a significant amount of enlargement. They give you the dolly eye look and provide a significant enlargement! The color is so beautiful and vibrant! I really adore the grey color. It is a very light grey and in certain lighting it appears to be a light crystal blue color. These are by far the most beautiful grey lens I have found. I definitely recommend! Grey is a safe color to wear if you want a more subtle tone. I feel comfortable wearing these to school without the color being too much of a distraction. It is not ideal for everyday wear though if you are going for a natural look, since the diameter is large and the color is quite vibrant. Shipping was good, I received my package in a few weeks, which is average time for circle lenses. The customer service is great and very friendly! Overall, I would recommend the Super Pinky Grey lens! The lens are very comfortable and provide enlargement. The color payoff is also extremely beautiful and by far the best grey circle lens I have found.